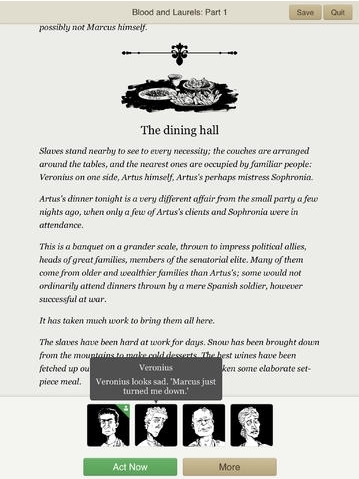 A month after its re-launch, Versu, the interactive storytelling platform, gained very positive feedback from the New York Times on Monday July 7th. The article itself is an examination of the Interactive Fiction genre, both looking back at the early days of text-based adventure games see as the origins of the genre, and at the state of play with the genre today as a medium enjoying a popular resurgence. As with other reviews of the game, The New York Times piece underlines the feeling that with Blood & Laurels, one is less a reader and more a participant in a piece of theatre in which improvisation – both on the part of the reader and by the other characters – plays an important role in the unfolding scenes and in setting the direction the story may take. This potential to offer different perspectives on behaviour within certain situations is possibly where a yet-to-be-tapped wellspring of opportunity may lie for the Versu engine in the future, something possibly reflected in Mr. Suellentrop’s comments about Blood & Laurels offering a glimpse of something on the horizon. Richard Evans himself spoke to this, as I reported back in May 2013, when he presented Versu: A Simulationist Interactive Drama, at the Games and Media Event at the Imperial College London. Whether or not the Versu team can / will move to expand opportunities in which the engine can be used beyond the IF genre remains to be seen; which is not to say the engine can’t survive without moving away from the IF genre. Far from it; the combination of Versu and Prompter would appear to be opening the doors on broad new opportunities for IF writers. Certainly, and considering the bumpy road Versu has so far endured, it’s good to see both it and Blood & Laurels continue to gain the attention of the games media with positive reviews and feedback. Long may it continue. 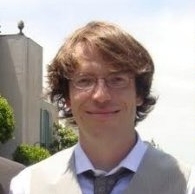 Footnote: Richard Evans will be speaking at this year’s Develop Conference, (Brighton, England, July 8-10th), where he’ll be examining the relationship between games development and AI research. Episode #23 of The Drax Files Radio Hour was posted on Friday June 13th. With the “live” podcasts currently on hiatus until August 2014, this is the second of a series of more in-depth interviews with people from across the metaverse and beyond. As usual, and as well as being available on the show’s website and on Stitcher, episode #23 is also on YouTube, and embedded at the end of this article. 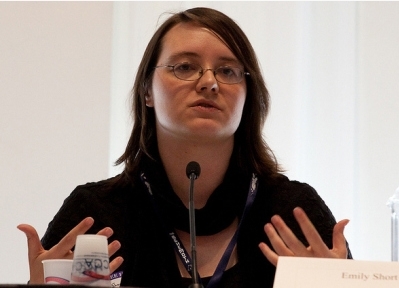 The featured interview with this show is with none other than interactive fiction writer, narrative design consultant, co-founder of Little Text People, co-developer of Inform 7, the interactive fiction system, co-developer of Versu – I could go on and on, such is my admiration for her – Emily Short! The interview, which commences at the 3:44 mark, is extremely wide-ranging, covering topics such as the creation of Little Text People, the time Emily and her LTP colleague, Richard Evans spent at Linden Lab, the nurturing of Versu, Emily’s own background and how she came to be interested in interactive fiction (IF) via the work of games design pioneer Scott Adams (not to be confused with the creator of Dilbert!) and moving forward from there. Since the announcement that Versu – albeit is a slightly different Versu to the one initially marketed by the Lab – would be able to continue under its own banner, there have been musings as to the deal struck between Linden Lab and the Versu team. Had the IP been fully released by the Lab? Had an agreement on revenue sharing been achieved? Were there other strings attached? Obviously, such questions may not be the easiest to answer; commercial arrangements between companies tend to be saddled with NDAs and the like, and the Versu / Linden Lab arrangement is certainly one of those. As such Emily has to be circumspect when answering such questions. 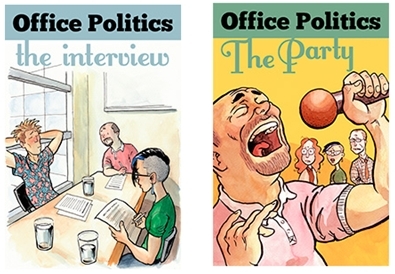 However, she does indicate that there may potential for some of the titles from the “app version” of Versu to reappear, such as the Office Politics titles by Deirdra Kiai. Whether these will be direct ports or will see anything added to them, should it come to pass, remains to be seen. It’s important to note that the Versu we see with Blood & Laurels is somewhat different from the Versu which first appeared under the Lab’s banner. As Emily notes, the “first” Versu was more an app into which IF games could be plugged. Versu as we see it now is geared more towards developing self-contained titles – as Blood & Laurels is, and just as Bramble House will be. Packaging titles in this way offers the ability to build much more involved games – as has been noted, Blood & Laurels has some 240,000 words of interactive content, only 7% of which is liable to be encountered in a single play. With the original Versu, much was made of the potential for people to create their own IF games for use on the platform. Whether this is still the case is unclear. The system itself would apparently need more work to support this, and the agreement with the Lab may limit what can be achieved in this area. Currently, story development remains confined to the Versu team and select other authors such as Bramble House’s Jake T. Forbes (himself a Linden as well as an author in his own right) and, possibly as noted, Deirdra Kiai. An interesting aspect of Versu’s modularity is that it needn’t necessarily be limited to a text-based front-end. but could be embedded into something else or skinned by an alternative front-end. This means it could, for example, potentially be used in other game types or in business training or in education. These latter areas were somewhat upon in May 2013, when Versu co-creator Richard Evans presented his paper Versu: A Simulationist Interactive Drama, at the Games and Media Event at the Imperial College London, which prompted Douglas Heaven to write AI makes social game characters all too human for New Scientist Online, and which I wrote about at the time. Whether this flexibility with the Versu components means it might see use in support of better AI-driven NPCs within Second Life, as many have speculated in the past, remains to be seen. This is another area Emily is not in a position to comment upon – which shouldn’t necessarily be taken to mean something is being worked on. It’ll be interesting to see if this does come to pass down the road, as the team hopefully develop the resources they need to enhance and develop Versu, and as opportunities of perhaps working with third parties arises. There is so much more to this interview than can be covered here. Where AI may go in the future; cautionary notes on how governments or private organisations might employ AI technologies alongside the huge amounts of data (social and otherwise) we’re allowing to be accrued on ourselves; caveats about tests used to determine whether or not the conditions of the Turing Test really have been met; have been met; even dreams of holodeck-style IF are explored! All of which makes this a fascinating conversation, one well worth taking the time to sit down and listen to, whether or not you’re directly interest in interactive fiction (and you likely will be by the end of it!). Following the announcement that a deal had been reached which allows Versu, the interactive fiction engine, to continue after Linden Lab had discontinued it in February, comes the news that, as promised, the much-anticipated Blood & Laurels is now available. As I noted in my report on Versu’s return, Blood & Laurels is the first title to be released under the new Versu banner, and will be followed in the near future by Bramble House by Jake T. Forbes. 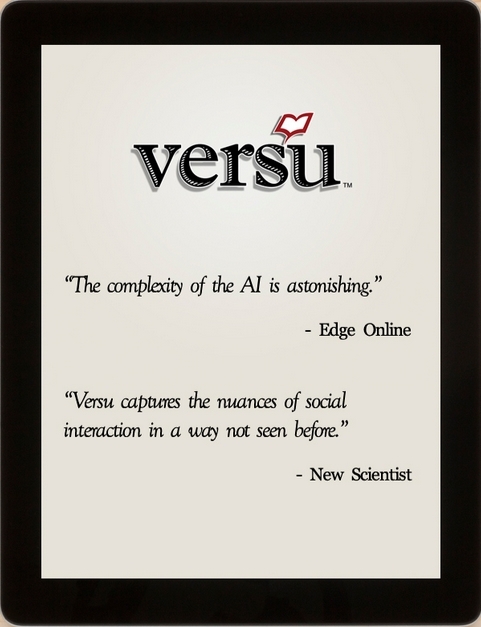 New Versu titles will, for the forseeable future only be available on the iOS operating system and focused on the iPad. As the Versu team has noted, while they would like to have an Android version, resources are such that right now that it just isn’t possible. It’s the eight hundred and twenty-first year of the city of Rome, a year of bad omens and unrest. The Emperor is bloodthirsty and watches keenly for anyone who might be trying to overthrow him. The grain dole is running out and the people are going hungry. Romans are beginning to put their faith in foreign cults, as their old gods seem indifferent. Blood & Laurels offers dozens of outcomes for Marcus, his friends, his enemies, and Rome itself. The choices you make for him will decide not only how he ends up, but what kind of man he is when he reaches the end. Blood & Laurels might best be described as a piece of theatre; play is heavily influenced by the evolving conversations as much as by the actions of the protagonist, Marcus the Cowardly (that’s you, by the way, should play the game). As Marcus, you have to steer your way through the complex situations which develop around you, some of which are a direct result of your actions and words, while others may be the result of things you perhaps didn’t do or say earlier in the game. Your interactions with other characters (and their interactions with each other) can be reflected in the changing expressions on their little portraits. In keeping with most intrigue in life, few things go unnoticed and repercussions can be positive or negative. The complexity of Blood & Laurels is staggering: 240,000 words of interactive content, a branched, two-part storyline and a large cast of dynamic characters. All of this adds up to a piece in which a player is only likely to encounter around 7% of the content in any given play through. Alongside of the launch, the Versu team also issued a teaser video of movie-like quality and presence. Blood & Laurels can be purchased from the App Store for $2.99 / £1.99. Note that Emily Short of the Versu team, and the creator of Blood & Laurels, will be featured in a Drax Files Radio Hour interview on Friday June 13th. Also, coverage of the “new” Versu and Versu titles in this blog can now be found under the Versu category or via the menus: Pey’s Travelogues > Other Worlds > Versu. On Friday June 6th, Emily Short announced through her blog that Versu, the interactive fiction engine she and Richard Evans developed while working at Linden Lab, and which was cancelled as a part of the Lab’s product review in February 2014, will now continue, and that Blood & Laurels, the interactive novel she has been working on for 15 years, will be launched on June 12th. Following the announcement of Versu’s cancellation by the Lab, many of us speculated whether it might be allowed to live on separately to the Lab’s involvement, and Emily herself confirmed she was talking to the Lab on matter of IP. However, hopes this might happen seemed to have been completely dashed in March, when the Lab said no to any idea of selling the IP involved. However, they’ve since had a change of heart. The notification that this is the case came in the form of a blog post which first appeared on the new Versu wesbite, and then reblogged on Emily’s site, which is where I came across it. When the Lab decided to refocus its offerings and cut support for Versu, the project was only three days from launching a Roman political thriller called Blood & Laurels. 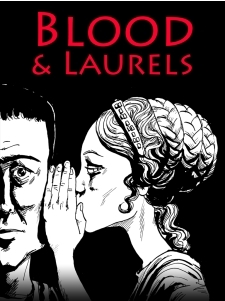 Blood & Laurels represented a significant step forward in complexity and depth from previous Versu stories: a large cast of characters, a richly branched two-part storyline, and over 240,000 words of interactive content — of which a player is likely to see only about 7% in a given play through. Character behaviour and relationships were modeled with at least as much fidelity as in earlier examples, but in a context with much higher narrative stakes. What other characters think of you affect whether your character lives or dies, thrives or fails — and those relationships are driven by both large and small decisions. The Versu blog post reveals that Blood & Laurels has been made possible by a language called Prompter, which is used by Versu and has been designed by Graham Nelson of Inform fame. Graham is also now a part of the new Versu team, joining Emily and Richard Evans. Blood & Laurels is set to be followed by Bramble House, an interactive fantasy story written by Jake T. Forbes, the author of Return to Labyrinth, a four volume graphic novel sequel to the Jim Henson film Labyrinth, and the English-language versions of the best-selling manga series Fullmetal Alchemist, Fruits Basket, One Piece and others. Bramble House focuses on the character of 15-year-old Penny, who is “bound in service to the witch Stregma, forced to deal with everything from mundane dishwashing to evicting monstrous guests”. In it, the reader takes on the role of Penny, progressing through various situations and events in two stories set within the Bramble House world. There is no publication date available as yet for the title. This is excellent news for all with an interest in or passion for interactive fiction. Congratulations are extended to Emily, Richard and Graham with the launch to this new venture, and kudos, as well, goes to Linden Lab for reversing their decision on the Versu IP and allowing the project to continue. 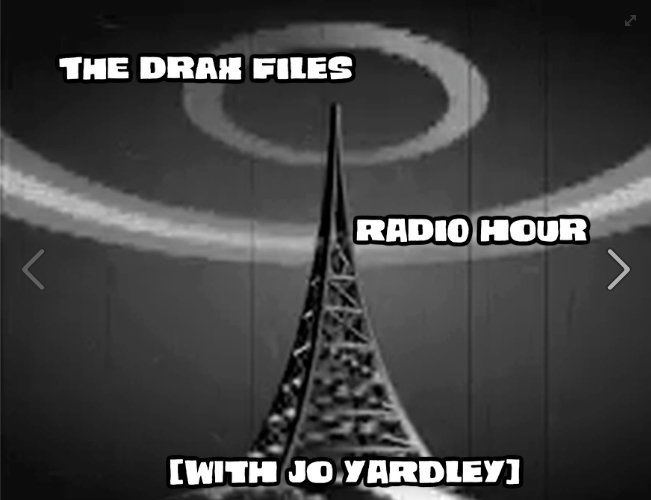 Be sure to listen-in to an upcoming edition of the Drax Files Radio Hour interviews, when Drax will be talking to Emily Short about interactive fiction, Versu and more!